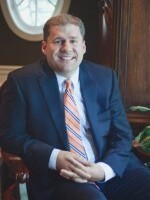 Paul is the founding partner of MacArthur, Heder & Metler, PLLC. He earned a bachelor of arts degree in English with a minor in business finance from Brigham Young University, a juris doctorate from the J. Reuben Clark Law School at BYU, and a master of science in taxation degree (LL.M. ), with honors, from the Washington School of Law. His practice is focused on business formation, maintenance, contracts (and other corporate issues), taxation, estate planning, non-profit organizations, and adoption. Paul is co-founder of A Child’s Hope Foundation, a non-profit public charity dedicated to bridging the gap between orphaned children in third-world countries and adoptive families. He has also served and is serving as an officer and board member for many other non-profit entities. Paul has been involved with clients and business transactions valued from $10,000 to $250,000,000. Additionally, he has been a presenter at various estate plan and business seminars and was recently voted one of the top legal service providers in Utah County.